Teachers! We now have a variety of ways to start a slideshow presentation on our computer, tablet, or phone and have it appear on student devices. And, as you advance to the next slide your students’ devices follow right along. You can make this happen using one of several different online services. In honor of LiveSlide’s launch, I’m writing about five websites that can push your presentations to your students’ screens. All five have some sort of free or trial accounts, so you could give several a try and see what works best for you and your students. It is nice to have options in case some are blocked or filtered at your school. It’s also possible that some of these services will go down, stop working, or increase in price. After comparing price and functionally, LiveSlide is my favorite out of the bunch. Websites that push slides to students are great for BYOD/BYOT classrooms because they are web-based and usually designed to work on a variety of devices. Of course, they are also great in one-to-one classrooms and in schools with carts of computers or tablets available for checkout. Most of the sites not only offer the ability for every students to behold your slides right from the comfort of their own seats, but many also offer the ability to assess the class in different ways. LiveSlide: Create decks from scratch or import a PDF. Send out live polls and see the results instantly. Teachers can draw directly on slides. Drawings appear in realtime on all devices viewing the slide deck. Additionally, teachers can add new slides while presenting, open web and slides can contain embedded YouTube videos. Teachers can hand over the drawing tools to a student so he or she can write and draw on slides. Slides can be replayed at any time (including the live drawings). Students can ask questions privately and teachers can see them, even during the presentation. Free for teachers. Free accounts can create up to 1,000 decks. Up to 500 students can connect to slide deck. Students can pay $3 per month or $10 for 6 months for the ability to take notes, save teacher slide decks, replay teacher’s writing, and create their own decks. Presentation.io: Upload a PDF or PowerPoint file and share a link to let your audience see your slides on their devices or laptops. Presentation.io provides you with a unique URL for each presentation. You can push out live video from your webcam for remote presentations. Presentation.io has a chat sidebar so students can view slides and interact at the same time. Your presentations expire after 4 hours when you use Presentation.io for free. Your presentations do not expire if you pay $9.99 per month. Presefy: Upload your PDF or PowerPoint file and control the presentation from your web browser on a laptop or mobile device. You’ll create a Presefy channel name (make it short and easy) that students type in to see your active slideshow. Unfortunately from the presenter’s view, your slides are very tiny. Presefy provides no annotation or interactive features. For free, you can store two presentations on Presefy. You can always delete an old presentation to make room for a new one. For about $27 per year you get 20 more slots to upload presentations, and students can download your presentations for later reference. Nearpod: Upload your slides online and add questions and other multimedia items. You are in control of which slide is displayed on student devices, and you can monitor student responses. Nearpod has a growing library of free and paid slideshows available in the Nearpod Store. When creating your own presentations, you can add interactive elements that include polls, quizzes, open ended questions, web pages, videos, and drawn responses. Nearpod gives you 50MB of storage for free, but each presentation must be smaller than 20MB. The free version can have no more than 30 students per session and students must use the iOS or Android app. For $12 per month (or $120 for a year) you get more storage and up to 50 students per session. Paid accounts allow students to view on PCs and Macs in addition to iOS and Android. 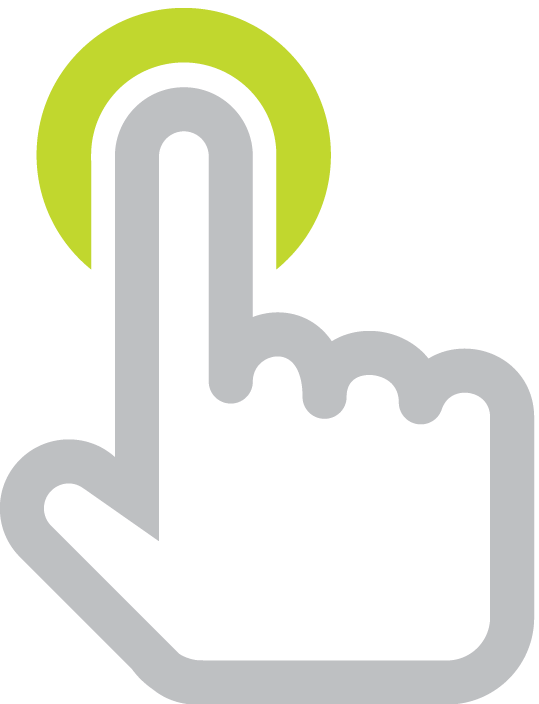 NetClick: Upload your presentation and make it interactive by pushing out instant polls. Teachers can invite students to click on an area of a slide and collect that information as a heat map. 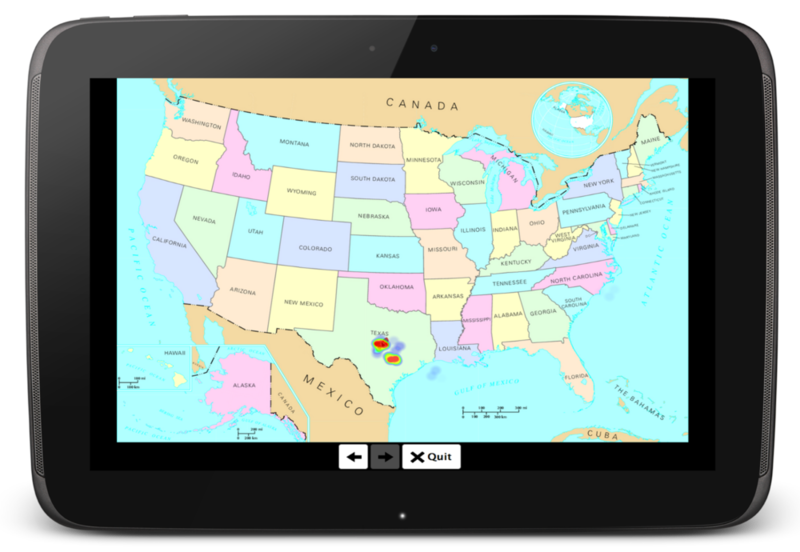 For example, you can ask students which state is known as The Lone Star State. Most will click Texas, but the teacher can see a dot representing each student’s click. Teachers might have students click on parts of speech, a number in an equation, important words in a paragraph, what part is confusing, etc. The heat map generated from student clicks can play a role in formative assessment. You can even indicate correct and incorrect regions on any of your slides. NetClick also has multiple choice questions and open ended questions that display a word cloud of responses. Free for educators who may use it with an unlimited number of students. College students can pay $5 per semester to access past presentations. I will say that it sounds exciting to push slides to student devices. Yes, all students can clearly see the slides, no matter where they are sitting. And yes, students can take screenshots of the slides they want to keep. But, pushing out your slides might strike some as gimmicky. Is the extra time to upload your presentation and get all student devices online worth it? Can you easily work through the inevitable tech glitches? I mean, you could simply fire up a projector and everyone can view your slides on one big screen. And to add digital interactivity, you could use an online student response system like Socrative, InfuseLearning, or Poll Everywhere. What will work best in your classroom is, of course, for you to explore and decide.